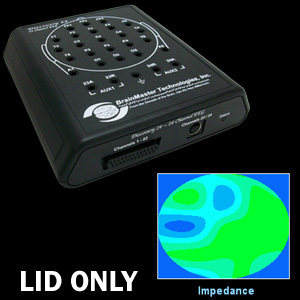 Checktrode Impedence Checker - BrainMaster Technologies Inc. 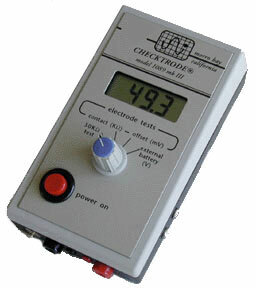 Stand alone electrode checker with linked ear reference numeric readout of electrode impedance and offset. 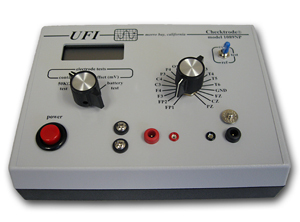 The ES includes a switch and associated circuitry to select up to 22 separate electrode leads. 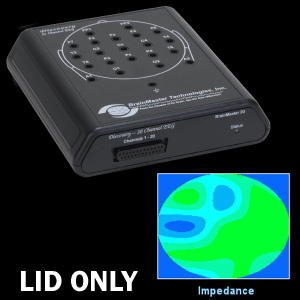 This allows the 1089ES to check applied electrode contact impedance of multiple electrode configurations such as EEG 10-20 cap.